The Atlas of Mortality and Economic Losses from Weather, Climate and Water Extremes (1970–2012) seeks to raise awareness of these and other challenges to collecting and analysing disaster risk information. It presents a worldwide analysis of extreme weather, climate and water events, drawing on the Emergency Events Database (EM-DAT), compiled by the Centre for Research on the Epidemiology of Disasters (CRED). The Atlas compares the reported impacts of meteorological, climatic and hydrological extremes (as categorized by CRED) on people and economies at both global and regional levels. Early warning systems (EWS) are a critical life-saving tool for floods, droughts, storms, bushfires and other hazards. Recorded economic losses linked to extreme hydro-meteorological events have increased nearly 50 times over the past five decades, but the global loss of life has decreased significantly, by a factor of about 10, thus millions of lives are being saved (Fig. 1). This has been attributed to advancements in monitoring and forecasting linked to effective emergency preparedness and response planning on the national and local levels (Box 1). Droughts are slow-onset events that cause more loss of lives, livelihoods and permanent displacement of people than cyclones, floods and earthquakes combined. From 1991 to 2000, drought took over 280,000 lives and cost billions of US dollars in damage. Sub-Saharan Africa suffered its worst dry-spell of the twentieth century in 1991–1992 when drought covered some 6.7 million km2 and affected about 110 million people. 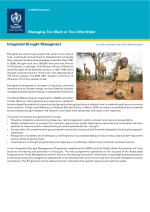 The 2010–2011 drought in the Horn of Africa put 10 million people at risk. 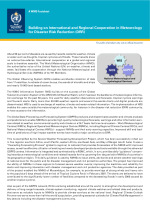 During 2010–2011, WMO (including its Members and WMO RA IV), with support from regional and international partners, conducted a comprehensive assessment of the institutional and technical capacities and needs of the Caribbean region to support Multi-hazard Early Warning Systems (MHEWS) and risk assessment. 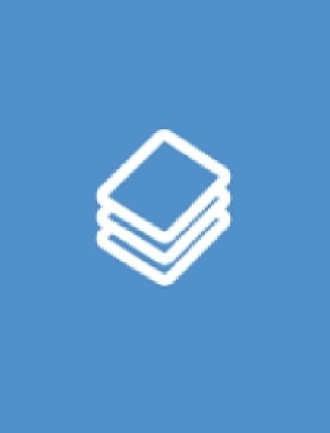 The outcomes of this assessment are presented in this Report. They provide the foundation for future capacity development projects and for the improvement of existing capacities, and a support for other projects and developments in the region. This workshop report shares the best practices and experiences in the innovative and state-of-the-art hydrometeorological services and their use in disaster risk reduction mechanisms that are effectively protecting lives, livelihoods, and assets. The first part of the report focuses on best practices in hydro and weather hazard monitoring and early warning for extreme events. The second part focuses on investments strengthening weather and climate services for better disaster risk management that are being undertaken by countries with World Bank support. In 2006, WMO conducted a national survey to benchmark existing capacities, gaps and needs of its Members for development of meteorological, hydrological and climate –related information to support disaster risk reduction. The national survey, addressed capacities of NMHSs to contribute to all aspects of disaster risk reduction including risk identification, sectoral planning, early warning system, education and knowledge sharing. 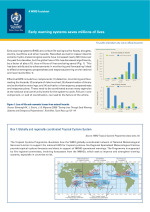 Of the 187 members of WMO at the time, 139 (74%) countries participated in this survey.